Mid 1980 after high school was over I went to work at my uncles atelier for the summer. I loved it, every part of it, from learning how to form pieces of gold sheets and wires into jewelry from a drawing on a drafting paper, to setting tiny brilliant diamonds into the gold and seeing the ring come to life while polishing it. I knew that summer that this is what I wanted to do. I love working with my hands to create beautiful jewelry others can enjoy. 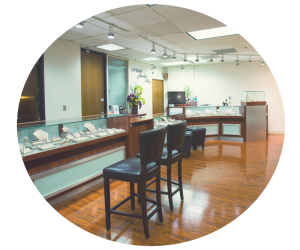 Now since 1985 when Wilson’s Jewelry a family-owned business was established with hard work and late nights, pride ourselves into bringing old world ethics and craftsmanship combining it with new world technologies to create the highest quality jewelry to its retail and wholesale customers. From complete hand crafting to using the latest 3D CAD jewelry software and using high precision 3D printers and CAM modeling systems, to using powerful laser to seamlessly weld pieces together for an exceptional finish. There is no job too small or too big, we give every job the time and effort needed to achieve the best quality.